I have so much to write about, so much to say. However, in the interest of everyone’s time and sanity, I have narrowed down much of what I’ve learned in the last six months since Everly’s passing down to 10 things. Please know that I am sharing my own experiences alone and that each of us have are on our own grief walk. 10. It’s okay to leave it as is. Ever wonder how my house looks like now? 6 months after Everly has lived here. The same. Haven’t moved one item. There are still syringes and chest PT thumpers in the same position as they were when we left in January. Her last towel and outfit is dried and resting in the bottom of her clothes hamper, wrinkled and lonely. Her bottles, syringes and medicines are still on her counter in the kitchen; her bouncy seats quietly poised awaiting her weight; her clothes neatly hung side by side in her closet. Nothing has been moved and that’s okay by us. For our family, the “not” seeing of it all would be more painful than the fact that they rest unused, yesterday, today and tomorrow. They'll be a time but not yet. Not today. 9. I want to hide. The strangest thing has happened…I have a curious need to travel with aid of some childhood fantasy invisibility cloak. Some days. With two boys and activities, events, responsibilities, it isn’t practical to stay locked inside, even if that’s what I desperately want. Many days, it is. However, summer is busy and that means so are we, to an extent. I’m fortunate to have my dad who helps thwart the “enemy” on days when I can’t fathom the thought of being in public. Jimmy also steps in and pinch hits after work many times, too. I’m told these moments of needing to stay secure in our little alcove of the world will continue to come and go. Find the hiding places of these souls and meet them there. Friends, they need you. 8. The world doesn't know what to do with you. This is one of the most eye opening things I’ve figured out over the past 6 months. Hadn't ever thought of life from the perspective we are in before now. Didn't realize how much grief even affects others in the outer circles of our sphere. It does something strange to people. To be honest, it freaks people out. Avoidance, both physical and verbal, allow others to pretend, if only for a moment, that this awful, scary situation didn’t happen, discussing only inconsequential tidbits of the day, moving on as if this black cloud wasn't hanging overhead. 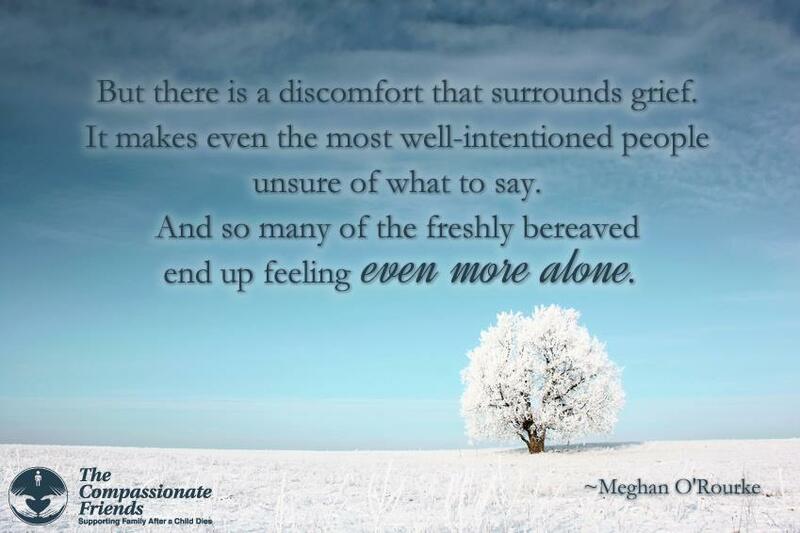 Grief...and the aftermath that follow...is uncomfortable, painful and messy. The bereaved don't like the effects anymore than the onlookers. Only, they don't have a choice. It takes a concerted effort for people to enter this bumpy world and for this we reprieve, we are thankful. Approach, acknowledge and above all else, love these friends. 7. Sorrow comes out of nowhere. Literally. More times than I care to count, tears billow over the edges of my already wet-with-tears eyes. Not precipitated by any particular memory, adorable newborn baby in my direct line of focus, mention of our sweet pea, but rather, just because. Just because she isn’t any longer. Sitting in Dairy Queen with my boys a few weeks ago, the tears just quietly fell. Just because she isn’t any longer. Love on those who know this fierce sorrow. 6. The roller coaster of emotions is intense. Walking through grief IS the scariest ride you’ll ever experience. There is no rhyme or reason to your emotions from one minute to the next. No guidebook to help you OR your loved ones. It’s like living with multiple different people who all go by the same name. I think this is why I personally relate to the movie Inside Out so well…each emotion is so powerful. One isn’t any more right than another. But they are all valid. Sometimes misunderstood, like anger. The expectation of grief is that someone is sorrowful all the time. While there is a great deal of sorrow, there is also wistfulness, indifference, hope, sometimes joy and happiness and a lot of anger. It’s a weird and unsettling mix of a new kind of "family” that disguise themselves as emotion. Can’t live with them and can’t live without them. Just love those unconditionally that are on this ride. 5. The calendar is now enemy #1. Dates, milestones, anniversaries strike like a cobra. 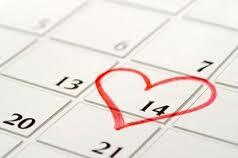 No longer are dates circled with eager anticipation, counting down to some joyous occasion. Now, in the early stages of child loss, the calendar represents very tangibly the lost opportunities we have to parent, to celebrate, to live with our baby. We see the dates differently now. The date of their birth, maybe even the date of a diagnosis, date their heart forever stopped beating, date the child was put to rest. Other dates, like ours now, 6 months since Everly left this earth feels like a knife to the heart. Love tenderly these people who take attacks from one who cannot even speak and bears no weapon. 4. Holidays, special times and events are painfully hard. Who knew that the 4th of July would rip me apart? I couldn’t leave the house for three days because of it. Skipping through sections of the stores still is my MO. Forget walking by, near or around the baby section of Target or any store for that matter, specifically during holiday times. I’m bracing myself now for the onslaught of Halloween, Thanksgiving, Christmas “stuff” that will be a barrage of bullets aimed at my heart. Maybe I’ll just stay home. Love with zest these people who must exist in a society that doesn’t stop because of their loss. 3. I'm scared because I don't know who I am now. 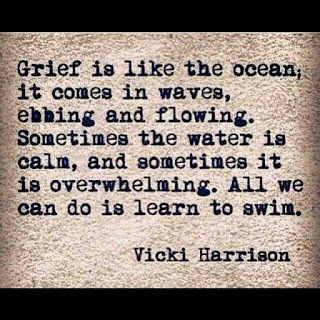 Every day, the grief chips away at the person I have known for the past 42 years. I barely recognize myself anymore. The loss unequivocally redefines not only yourself, but friendships, relationships, priorities, everything about your life is altered. It is disconcerting, add in the fact that this reemergence of your new self is a process. No longer comfortable in my own skin, I feel like a tenant, borrowing real estate until my home is ready to move in for good. 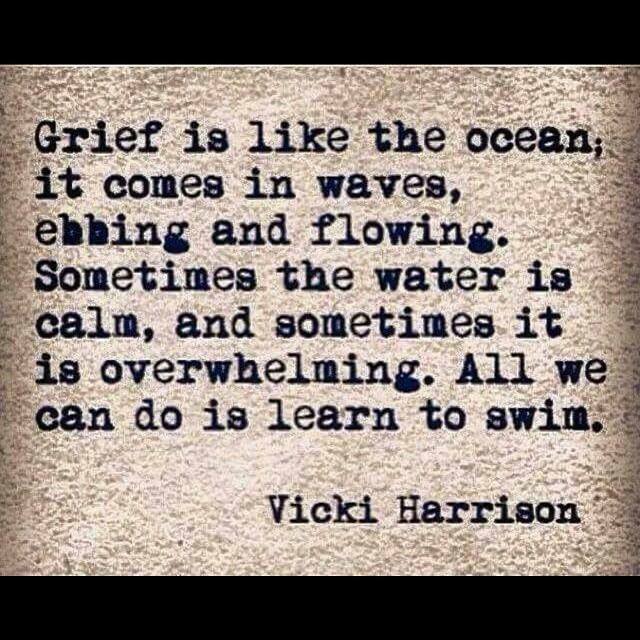 Extend love and grace to the bereaved who not only have lost someone special but have lost their own identity. Quite simply, I'm lost. Some days, I don't know if I'm up or down, left or right, in or out. The ever-present mental fogginess is still a plague that infests our clarity. Some days, going through the motions is about the best you can do. The feeling of being lost is only superseded by a realization that I don't know where I'm going. Nope, not at all. It's difficult for me to admit because I like the feeling of being able to handle it all, do it all. But it just simply is not true. Many, many days I am in “fake-it-until-you-make-it” mode. Secretly hoping that a self-fulfilling prophecy will take place, I would surmise. If I can convince others, then I can convince myself, too, right? I need people. I need my friends. I need help. I need a hug. I need a smile. I need grace. Lots of it. I need God. I need honesty. I need understanding. I need closeness. 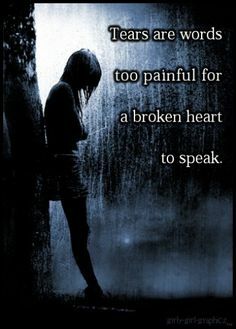 I need to know someone cares about my pain. I need to know that I matter. I need to know that she hasn’t been forgotten. I need to hear Everly’s name. I need to know that you will walk beside me as I search for what’s next in this big, frightening world now. I need you to hear me. I need unconditional love…on good days and on bad. I pray that when the time is right for me, I will have the unique insight to bless in this same way. But, right now, regardless of what I write, say, speak...read between the lines. I may not ask for help but know that I need it. Desperately. I have been painfully honest in my writing since I began some 18 months ago now. I am very blessed to be surrounded by those who are patient, loving, supportive and kind both inside my family unit and in my friendship circle. I share my list as a way to shed light on the journey I've been on thus far and where I am today. Please don't let the time stamp of 6 months fool you. Today is significantly, in every sense of the word, harder, more painful and heart wrenching than in earlier months. Remember that hedge of protection that allows people to get through the very early days of a death? Yeah, it's obliterated now. Gone. Never to be see again. Now, we are left with God and the people around us. While God IS indeed enough, the old adage "it takes a village" couldn't be a truer statement. I need my village. Today more than ever. I pray you will take residence with me. In parts 1 & 2, I shared with you the birth of the foundation and then the heart of the foundations purpose and mission. 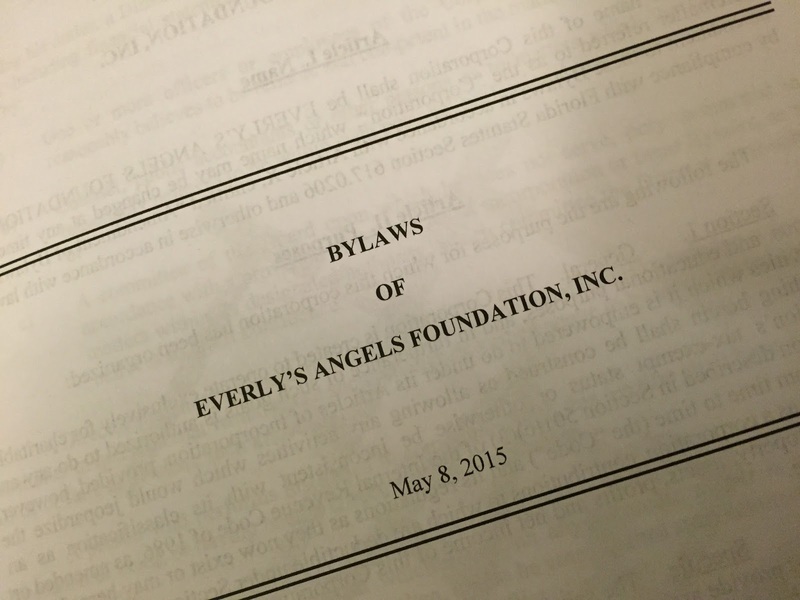 For the third and final part of explaining Everly’s Angels Foundation, I will share our “who” and “how” with you. 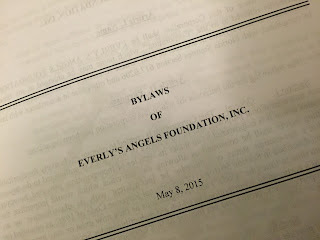 Who is a part of Everly’s Angels Foundation and how exactly do we plan to carry out the mission of Everly’s Angels Foundation? 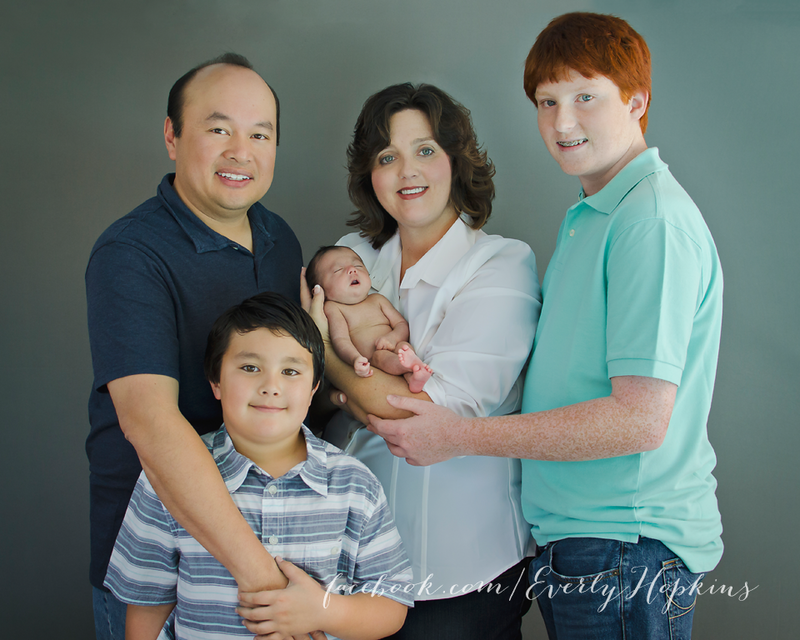 Our volunteer board of directors consists of 6 people, all of whom have a heart and desire to carry on Everly’s legacy. The perfect place for a board meeting: Sweet Peas Café! Hard at work planning for the Everly's Angels! I am so thankful for these special people who love Everly and love our mission as much as myself. Their gift of time and talent is so very precious and instrumental to our foundation and to the families we serve. Now for the FUN stuff! What are we going to DO? Well, for starters, we plan to bless special needs families. We are ur first event will be in October. A team of Everly’s Angels will provide Trunk or Treat fun for a local church’s Fall Festival, designed specifically for special needs families. Trust me when I tell you that being a special needs family is HARD work! 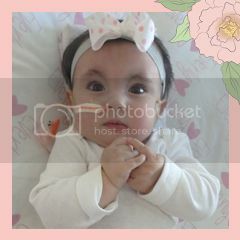 We were blessed to know about the event last year in time for us to enjoy it with Everly. This evening is a night full of fall games, fun, music and NOW a new twist with Trunk or Treating! I’m so excited that Everly’s Angels will be able to share in the fun night! Here we were at this same fall festival last year with our Everly. Daddy and Everly enjoying a dinner break from the festivities. Stay tuned as we plan to complement the Special Needs Respite Program in our community throughout the year. I can’t wait to continue our planning of more fun events and activities for these well deserving families! 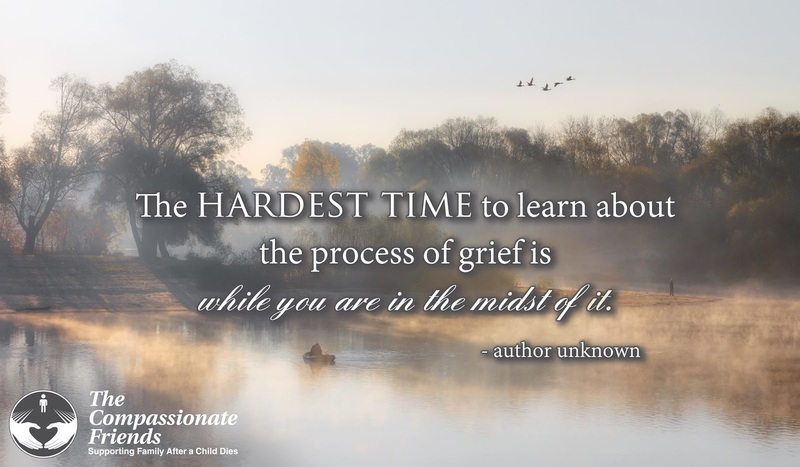 On a more serious note, another aspect of Everly’s Angels is to minister to grieving parents who experience the loss of a child. Currently, we are partnering with the local NICU to provide a keepsake in the form of a bereavement box to the parents. This beautifully crafted box will be filled with a few hand chosen mementos the parents can use while they are with their child in their last moments together. The box will then become a treasured keepsake in which to hold special items belonging to the baby. 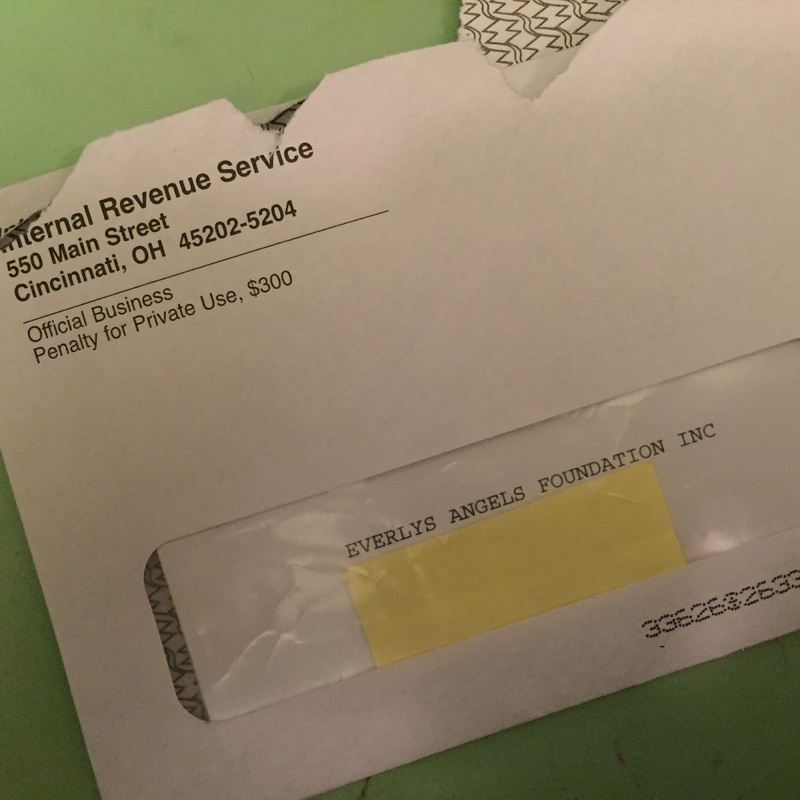 As Everly’s Angels Foundation grows, we hope to have a further reach and extend our services to surrounding hospitals, hospices and obstetrical practices. 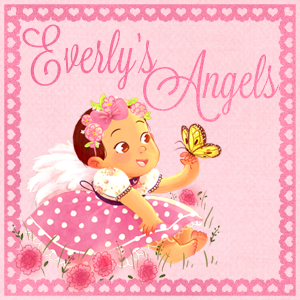 We are thrilled to be able to continue to share Everly’s NAME, STORY AND SPIRIT through the work of Everly’s Angels Foundation. *Become an angel and help us by volunteering your time. Plenty of opportunities for those who are not local as well. Please email me at loveforeverly@earthlink.net for more info. *Pray for our team, the foundation, and for plans that we will be a blessing to those who need us and that we will glorify God in the process. Taking cues from our life with Sweet Pea, our heart for Everly’s Angels’ purpose is to use our family’s experience, our life together to ease the challenges of others who have a similar path to follow: as a special needs family and, more specifically, those parents who receive a diagnosis their baby has a life-limiting condition. We have been raising two typically developing boys, one 8 and one 16, so the idea of “special needs” really didn’t impact us any. We were on the outside. Until February 20, 2014. Then we get a true insider’s view. What a sweet and sour journey that was and, of course, one we wish we were still on today. But God has other plans for our family. I don’t think it is sufficiently possible for us with typical children to fully appreciate the challenges that those families go through. o There are numerous and an overabundance of doctor’s appointments, waiting in a germy waiting room for an over-booked doctor. o A house full of medical equipment that we neither want as home décor but at the same time value as it saves our children’s lives. o The constant worry that this next bug or illness will land your child in the hospital. o Parents who earn honorary medical degrees in record time. 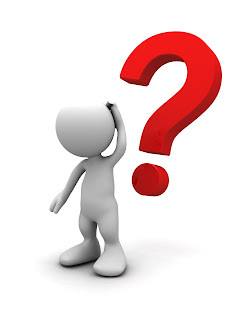 o Adding the constant use of acronyms (NG, G-tube, PICC to your daily speech so much so that it seems to lay people (aka non-special needs parents) that you are talking in code. o “Loss” of parent in a sense for the siblings in the family. o The pain of watching your child have procedure after procedure. o Not being able to have any “down” time because without a clone of yourself, the complexities of your child are so much so that you aren’t able to leave him/her with just anyone. You get the picture, I’m sure. There are SO many more ways I know I honestly had no idea until I lived it myself. But these families need our support, our encouragement and through Everly’s Angels, we purpose to do that, even if it’s a small way. The other side for us, aside from the special needs aspect, was knowing our daughter’s genetic condition was life-limiting. That is a mighty emotional road. 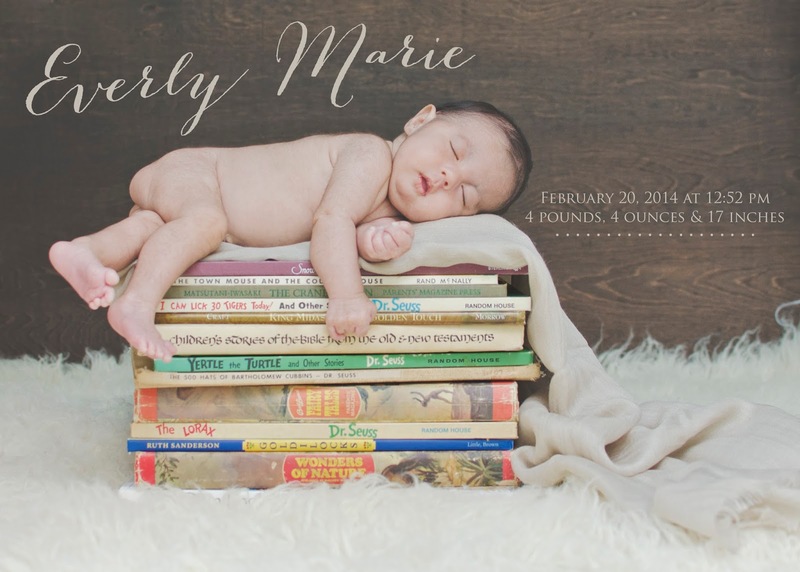 I mean really…to know your newborn baby statistically would not live to see her first birthday? And in some cases of babies who are diagnosed, not only with Trisomy 18, but with a variety of other medical complexities making sustaining life all but impossible through the end of the pregnancy or very shortly after birth. Honestly, I think society has it ALL wrong. Superheroes aren’t costumed and have superpowers. Superheroes are parents choose to give all of themselves knowing what is to come, knowing the pain that will ensue and doing it anyway. Those are true superheroes. o Parents learn more about the medical world than one would want outside of being a medical professional. o The anxiety that is always present worrying about germs and life-threatening illnesses. o The constant fear that the doctors weren’t telling you the “whole” story or weren’t in your child’s corner when being advised. 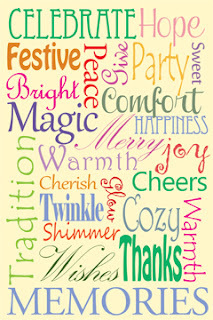 o Most are on hospice or a palliative care of some sort and ALL that comes with that very difficult and emotional idea. 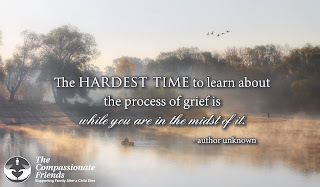 o The complex stress and prolonged grief of not knowing when your child’s last breath will be. moment for fear of the time when there will be no more. o Feeling torn constantly between the time you need to give the siblings and the abundance of time you want and need to give this special baby. o Watching your child grapple through their varying medical complexities, not knowing the right path or answer to issues. o Watching your child day in and day knowing that one day in the not so distant future, you will have to say goodbye. o Ultimately having to experience child loss, the greatest of all losses that exists. There are no words really to describe this part of the journey. The list goes on but it’s enough to know that these superhero parents deserve and need our support. So, through the work of Everly’s Angels, we hope to be a beacon of light for these families who endure so much. We also hope that in both cases the foundation can uplift and encourage not only the parents, but also any siblings in the family. It’s a tough job for any adult but for a child, it’s even harder. We pray that we can provide a bit of cheer and happiness to their life as well. We chose to live very purposefully with Everly when we received her diagnosis, taking full advantage of every second of our 340 days together. I guess you could say we had the “luxury” of knowing ahead of time. We created a bucket list for Everly and for our family, making memories and living life together. Ever focused on the present, we were intent about our time together every single day. No moment was wasted, no time slipped by unused. 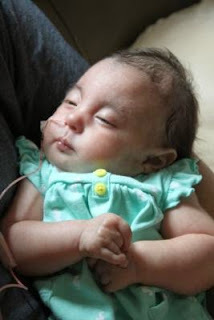 With Everly’s Angels Foundation, we desire to encourage all people to be purposeful with their time, living live with intention and making the most of every day, just as we did with our precious baby girl. condition that changed all of lives forever. The specific purpose for which the corporation is formed is to promote education, provide assistance and advance public awareness about Trisomy 18, a rare and life-limiting genetic condition. Everly’s Angels Foundation is a 501 (c) (3) non-profit charity striving to provide encouragement and support to special needs families, parents who receive a devastating prenatal diagnosis and families who have experienced the tragedy that is child loss. It is the foundations desire to encourage others to live with intention and purpose, despite a diagnosis, ailment or circumstance, and to make the most of every day. legacy left by my daughter. 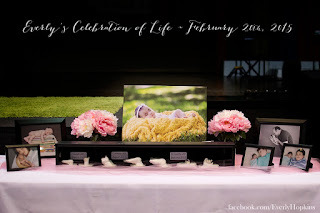 It was soon after Everly’s Celebration of Life in February that the thought of doing something in her memory was placed on my heart. I didn’t want Everly’s legacy to end with her last breath and I was sure my family didn’t either. Not knowing the purpose or the name even, a seed was planted that quickly took root. Not too long after, I shared with my friend Jen about the ideas that had been formulating. 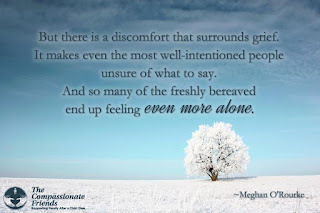 As is normal for someone grieving, my thoughts were scattered, disjointed. But several common themes kept recurring as I continued to ponder the possibilities. I knew that we all wanted her spirit to be kept alive, knew that the culmination of all our experiences with her needed to mean something, knew we wanted to make life better for others walking the same tortuous path. After hearing my thoughts, as jumbled as they were at the time, Jen suggested the name Everly’s Angels. I knew instantly that was IT! It fit. It worked. It said everything I needed it to say. There indeed needed to be a team of angels born out of the ashes of our precious baby girl who would continue to teach people about Trisomy 18, who would help our fellow special needs families, who would minister to those parents who receive lethal diagnoses for their babies and to provide comfort for parents who say goodbye to their child. And in that moment Everly’s Angels Foundation was born. From there, it was time to make it happen. 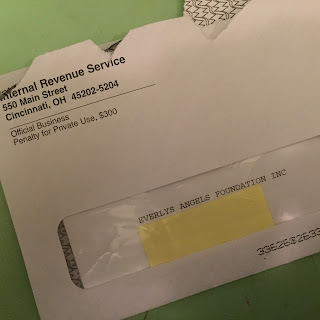 Through a series of God-orchestrated events, we met the right people at the right time who helped us get from point A to point B.
Everly’s Angels Foundation, Inc. is an official 501 (c) (3) federally registered non-profit public. We were a registered non-profit as of May 8, 2015, three and a half months after she passed. So thrilled to see this in PRINT and know what Everly's Angels will do in the future to make lives of others better. This was the FINAL step and am so excited that it's a REALITY! I think Everly would be proud. I love how God’s hand has been in our work from the beginning, from introducing me to the people I needed to meet to helping “see” what Everly’s legacy would be on this earth. There have been days, and I know there will be more to come, when it’s difficult to see the forest through the trees. Not with the foundation, but with grief…missing Everly, trying to move forward and all that comes when you no longer have your child. 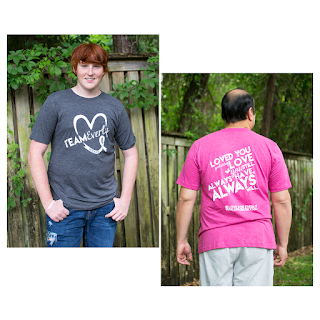 Everly’s Angels Foundation has given me a way to redirect our my continued pain, my love for my daughter and a way to use her life touch others. This is my way of spending time with her. It’s focused time remembering her life, what we learned from it and just magnifying the very essence of who she was and is. She will always exist to us but now she can continue to live on through those who fulfill her mission here on earth. 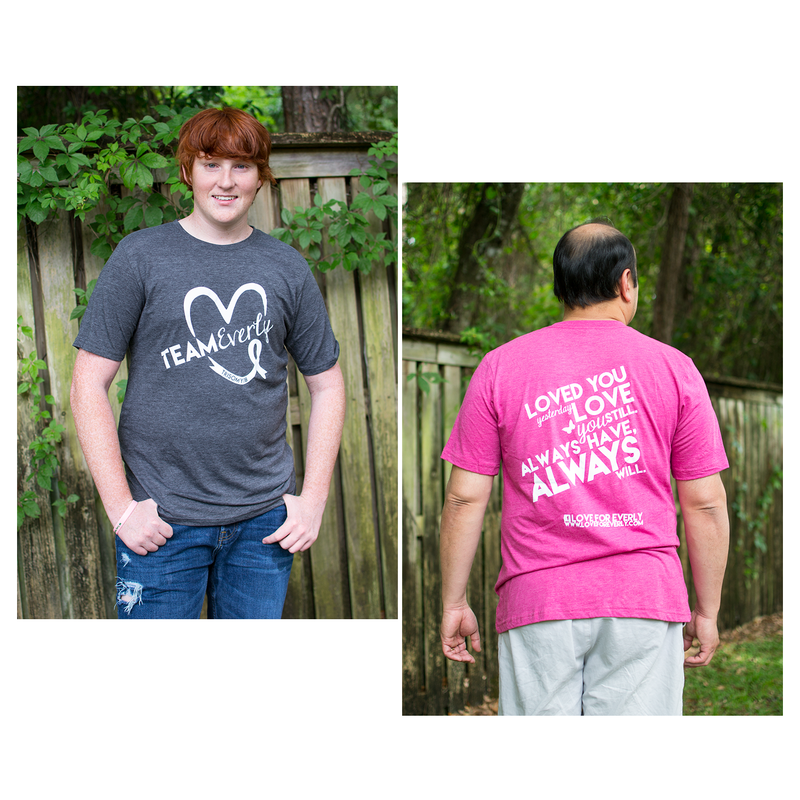 I love it more now than even when I first saw it on her shirt because I see…I know…our work with the foundation is a tangible extension of the deep love I have for her. The deep love we all have for her. For what her very life meant. For the legacy Everly leaves. For the missions Everly’s Angels will fulfill.